On the sixth and final day of Paris Men’s Fashion Week, Carol Lim and Humberto Leon referenced the Tusán people in South America for Kenzo; Paul Smith went country with riding jackets; and Hedi Slimane sent out Teddy Boys for his debut standalone men’s runway show for CELINE. Read our succinct 10-word reviews below for all you need to know from each show. For the full bottle, listen to the audio review while clicking through the gallery of runway images. 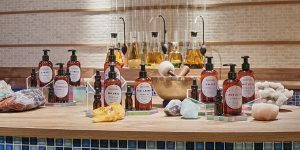 Whether you dip and dash, or stay and savour, these reviews are for you to use and enjoy as you please. Till next season, au revoir! 10-word review: Hiking outerwear and pop colour suits given the Andean treatment. Favourite look: Against a trippy Ayahuasca dreamscape created by artist Pablo Amaringo—a vivid kaleidoscope of real and imagined flora and fauna—Carol Lim and Humberto Leon drew from Leon’s Chinese-Peruvian heritage (the Tusán people) to create a hiking-inspired collection cast in ethnic textiles and marked by all-weather outerwear that featured reversible mesh linings, harness collars and detachable pocket gloves. But our favourite looks were the more sartorial: those contrast sleeve suits in looks 2 (indigo) and 16 (hunter green) fitted with a membrane coating to give it extra bounce, cinched at the waist with a thin drawstring strap from belt bags, and anchored with rubber sole canvas high-tops. Smart yet utilitarian outfits to navigate the concrete jungle. Favourite accessory: Those woven plastic rice bags—either as a tote or belt bag—printed with Chinese text and motifs (for example, check out looks 1 and 3) that were also given to the audience as a show gift; albeit the gifted bags were slightly different—miniature totes with a broad canvas shoulder strap. Best show gift this season by far. Quirky yet so cool. 10-word review: City boy goes country with riding jackets and jodhpur-style trousers. 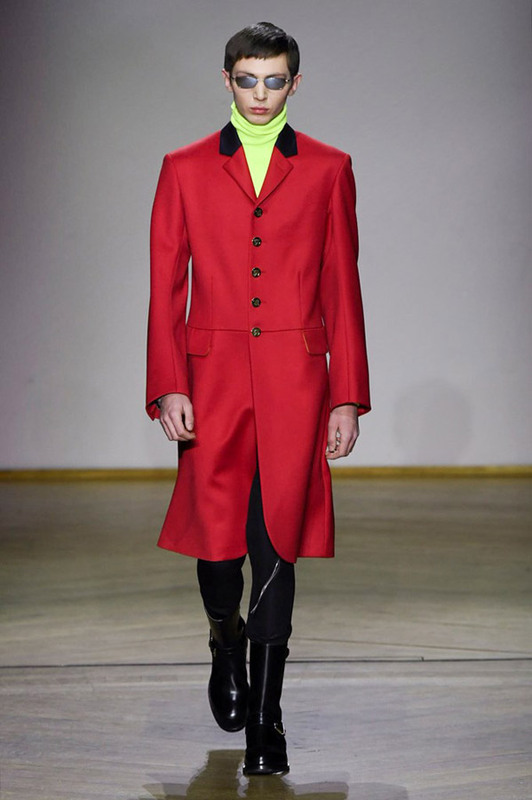 However, it was the ballsy swagger of look 31—yellow fur ushanka hat colour-blocked with a vermilion leather jacket and electric blue V-neck knit sweater sporting a bold orange band, grounded with black jodhpur-esque trousers—that made us do a double take. It’s country smarts for the city, dialled up with fur and plenty of ‘tude. Favourite accessory: Those metallic silver runners in looks 44, 46, 47 and 49. Suitable for bona fide ballers (naturally) as well as city suits who want to take a walk on the bright side (guaranteed instant mood booster). 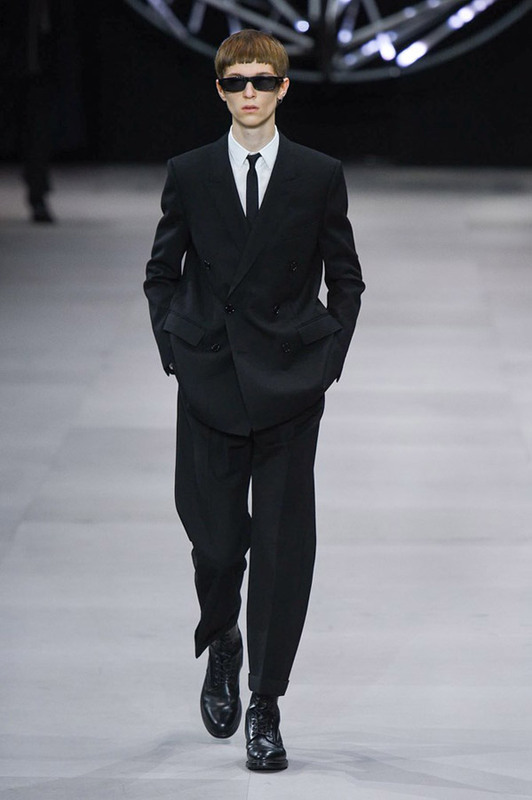 10-word review: Teddy Boys take Paris with razor-sharp tailoring and bowl haircuts. Favourite look: For Hedi Slimane’s debut men’s runway show for CELINE, he built a rectangular show venue in Place de la Concorde with the audience facing the Eiffel Tower to the left, Luxor Obelisk in the centre, and behind the ancient Egyptian artefact, looking directly down one of the most famous avenues in the world: Champs-Élysées. Stepped out to ‘Philosopher’s Calling’ by Canadian collective Crack Cloud (composed exclusively for the CELINE show), Slimane sent out a collection inspired by British youth—a tailoring-centric offering comprised of razor sharp suits, leopard print top coats, ribbed bombers and leather jackets. 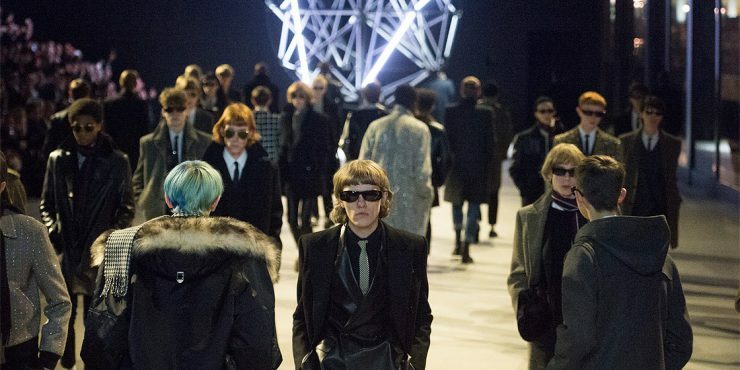 It’s the Slimane that we know and love, but with strong Teddy Boy references, killer shades, covetable boots, and a bowl haircut that had us thinking back to The Beetles. When you buy something from Hedi Slimane you’re really buying into a lifestyle—music, ‘tude and all—so it’s hard to choose one standout look as they are all so consistent. Having said that, how about that leopard-print top coat in look 43 that was created from gold and black sequins? A fitting sparkling complement to the ‘diamonds and rubies’ created by the cars going up and down Champs-Élysées. Favourite accessory: We’re greedy and going for two. First, those thin trapezium black acetate shades for easy style points; and second, those lace-up black leather boots with a double monk strap ankle closure—incredibly versatile and looks incredibly comfortable. Both are already on the autumn/winter 2019 wish list.